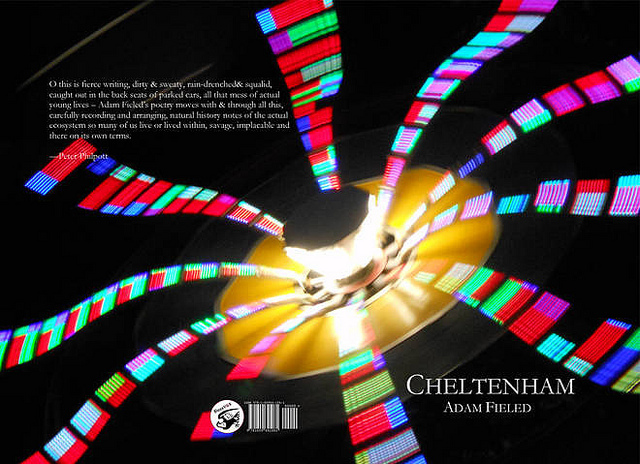 Meta-Dialogism, the idea that an individual consciousness can both contain and represent myriad voices, all of which both reveal different facets of the self and establish revelations of Otherness, can only take us so far in dealing with the Cheltenham Elegies. What accounts, for example, for the phenomenological leap in Elegy 414, in which the Elegiac Protagonist’s rival seems to jump into his head, take a quick look around, then be repelled back out again, having intuitively grasped something, if not everything, of his consciousness? This is about the revelation of parts, rather than wholes; that whatever tricks individual consciousness does towards revealing and understanding the consciousness of others, no one can ever infiltrate anyone else’s brain in a totalized fashion. Yet, all of us make these partial leaps, whereby parts of another’s brain are revealed to us, before whatever is Other in the brain repels us back out again. When these phenomenological leaps happen between characters in a dramatic context like the Cheltenham Elegies, and it is always the same structure— one individual’s leap into another brain, intuitively experiencing a partial revelation of the brain, and then back out again— the process deserves a title, as a conduit to pushing the established drama further. I call it Inter-Dialogism— partial penetration between brains. Inter-Dialogism, in itself, works as an accomplice to Meta-Dialogism— our store of voices is enhanced and refined by our contact with, and assimilation of, other voices, other consciousness, even as it is only by intuition that the noumena is partially revealed and we generate our own voices out of material partially, sometimes insecurely understood. force you to confess. What could you say? Cheltenham was soft, and all too infested. sometimes out of Meta-Dialogic reactions to an intuitive understanding of someone else, as in 260. Establishing the basis for Inter-Dialogism also assumes that part of the drama of infiltrating someone else’s consciousness is the intuitive sensation of being repelled back out again— that some foreign energy within the Other’s consciousness has formed a power-block against your intrusion and pushed back against it. The drama in the Elegies is thus a drama of subtleties, rather than gross gestures— even the Old York Road u-turn has in it more modesty, just on the surface, then would appear to be on the surface. The Inter-Dialogic tension—the leap the hero/anti-hero’s consciousness make into the Elegiac Protagonist, what he intuitively sees, where it takes him, and how what is foreign to him pushes him out again, all resulting in a brief (underwater) ruckus on the surface— has to be read, also, with a certain amount of intuitive understanding to make sense, and the fluidity of individual consciousness first acknowledged and then imaginatively understood.